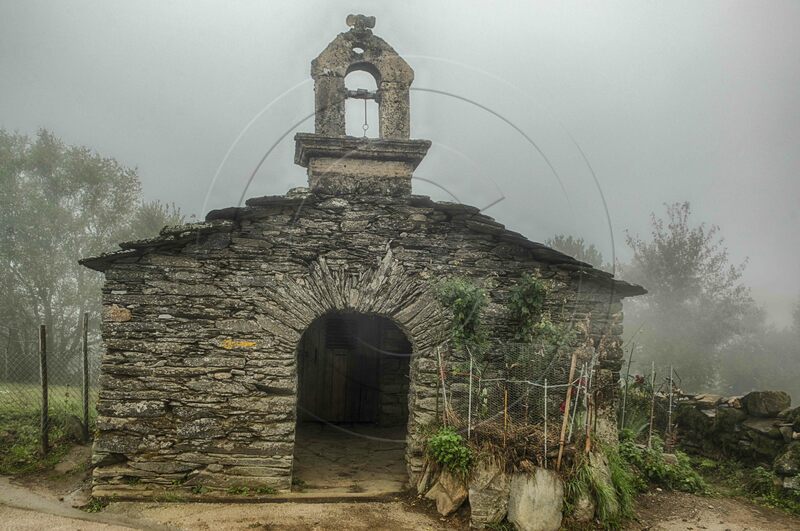 Faith moves mountains and Spain has been a devoutly Catholic country for centuries. This could have been on the minds of the of the first pilgrims on their way to Santiago, a religious act, which would end with their being in the presence of the Sepulcre of the Apostle Santiago ( Saint James) of the IX Century. Massive pilgrimages in the XI, XII and XIII centuries followed with the creation of hospices, shelters, monasteries, and even villages to aid the pilgrims in the achievement of their goal. 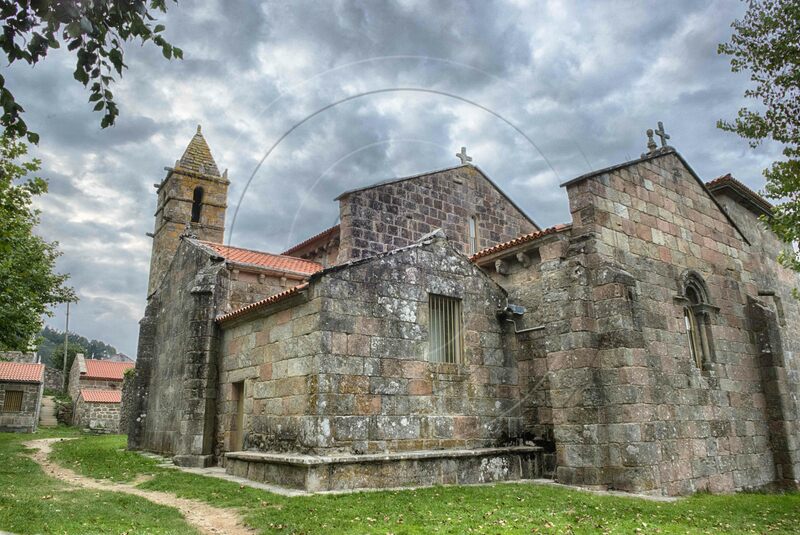 Some views of the churches and chapels associated with the Way of St. James through the historic regions of El Bierzo and Galicia. BUEN CAMINO! 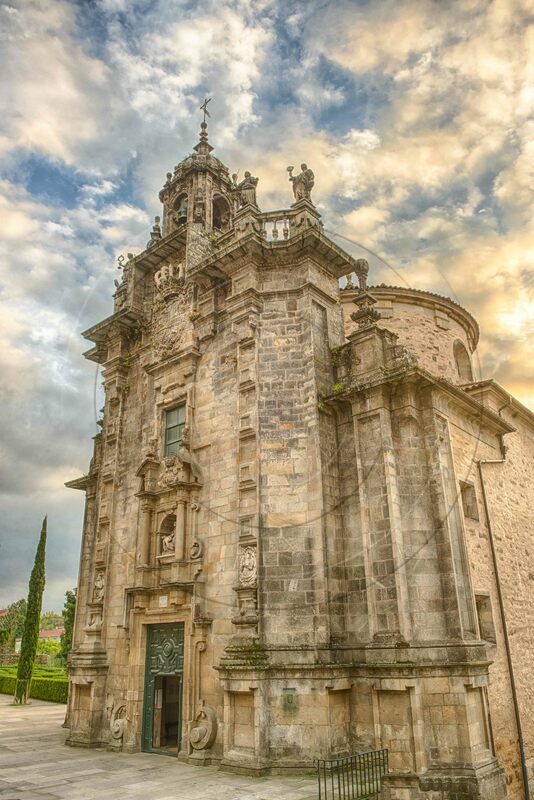 This 12th century Romanesque church dedicated to St James is the only other temple along the Camino de Santiago, besides Santiago’s Cathedral, where pilgrims could, and still can, receive plenary indulgence. The requirements: having walked the necessary distance, attend mass and say their prayers, as well as being able to prove they can’t physically continue all the way to Santiago de Compostela, due to illness or physical weakness. Welcome to Galicia! 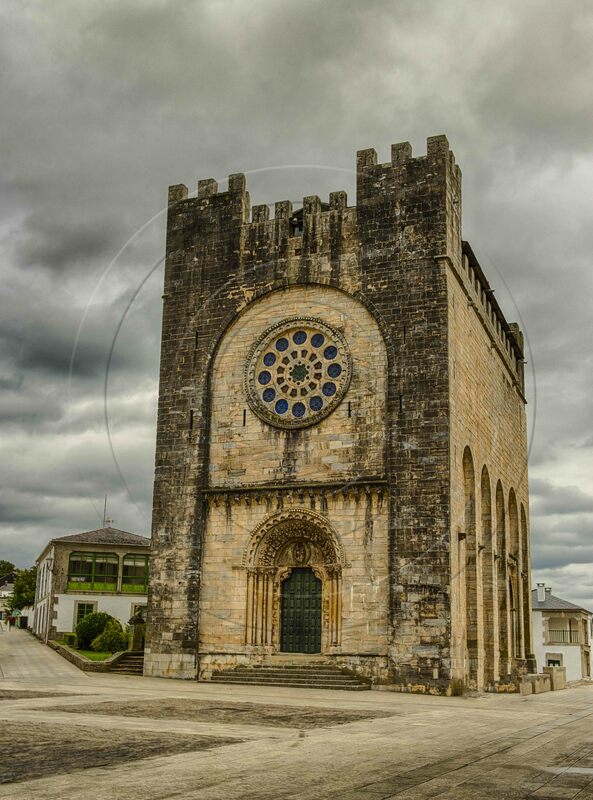 Dating from the 9th century, Santa Maria Real is the oldest building directly related to the Way of St. James and is located in the remote Celtic village of O’Cebreiro where the pilgrim’s path heads down into the Atlantic plain of Galicia. 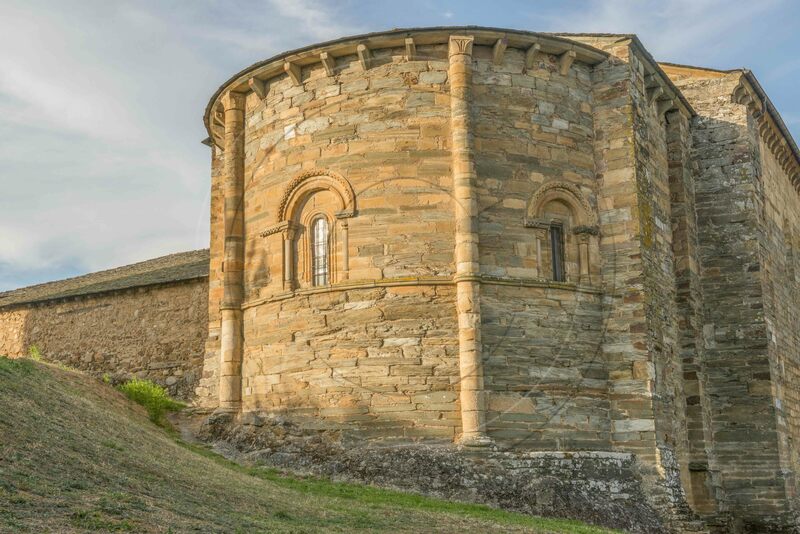 The church of San Juan is an unusual Late Romanesque temple-fortress of the Order of Saint John of Jerusalem as it was designed to be both a church and a castle and so has architectural characteristics of both buildings. 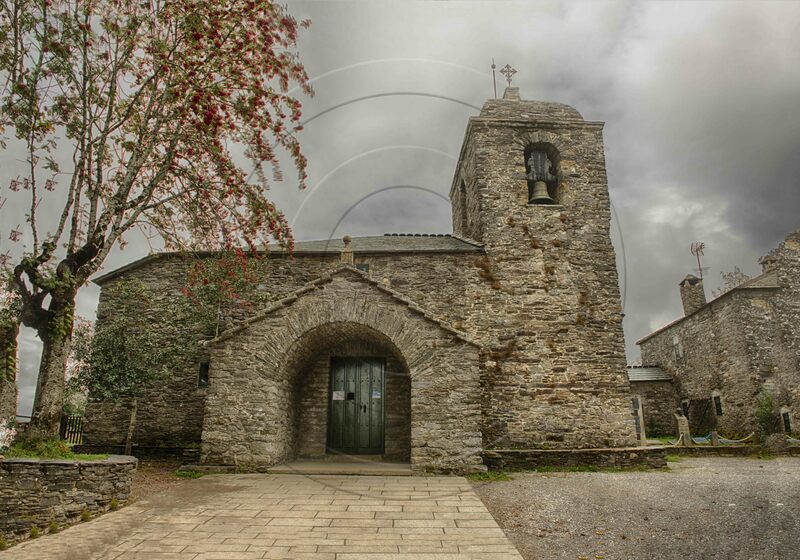 The church was relocated stone by stone to its current position from the valley below in the 1960s when the river was flooded to form a reservoir. What an architectural feat! What a testament of faith! 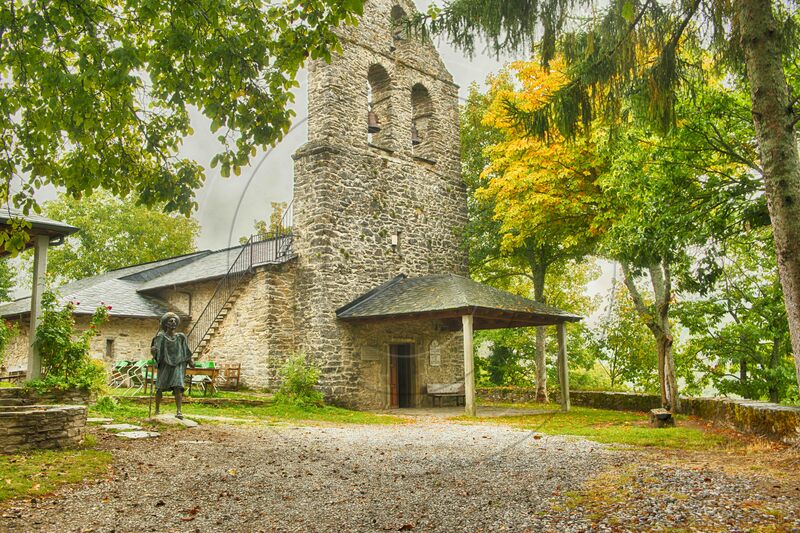 One of my most memorable moments on the Camino was attending an evening service here with no more than 20 of the local faithful. Beyond the Cathedral itself, Santiago seems to have a church at every turn throughout the old town. 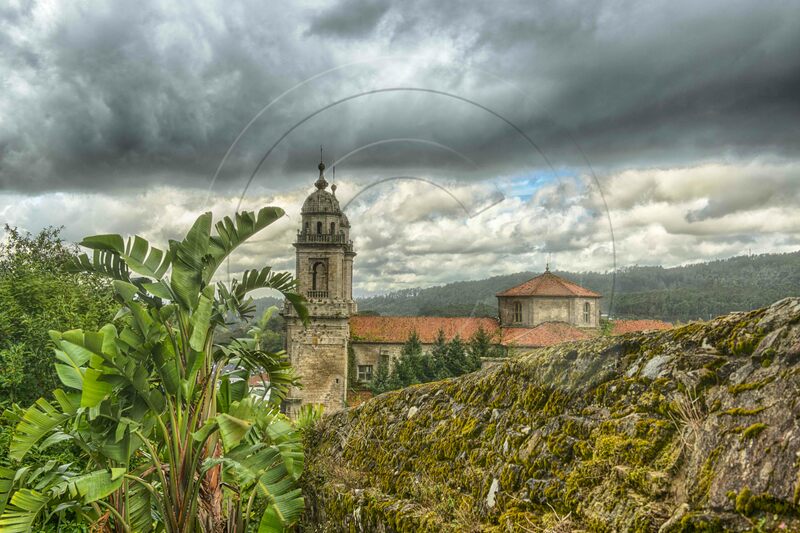 The church of San Francisco was founded by St. Francis himself during his pilgrimage to Santiago in 1214. This is the view from the patio garden of the lovely Hotel Costa Vella (highly recommended!). Finisterre (or Land’s End in English) is a small community stituated on a rocky promontory on the Atlantic Coast. 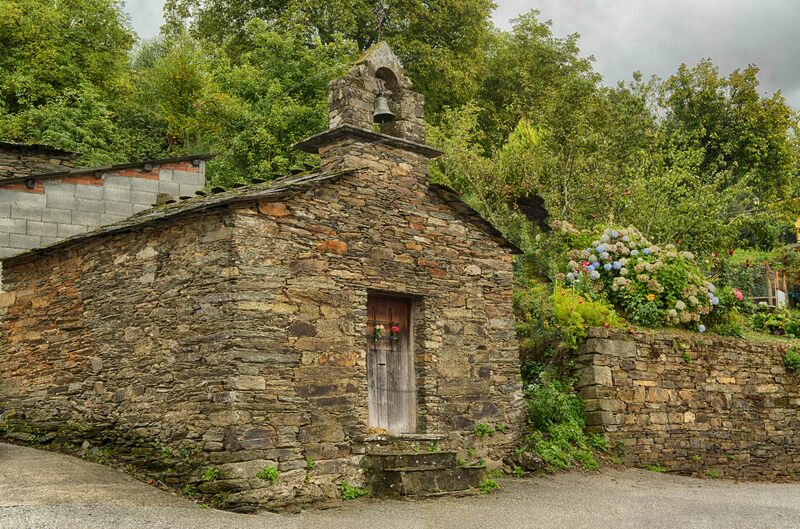 It is considered by many to be the official end of the Camino. This entry was posted in HIKING, HISTORICAL, TOURING. Bookmark the permalink.